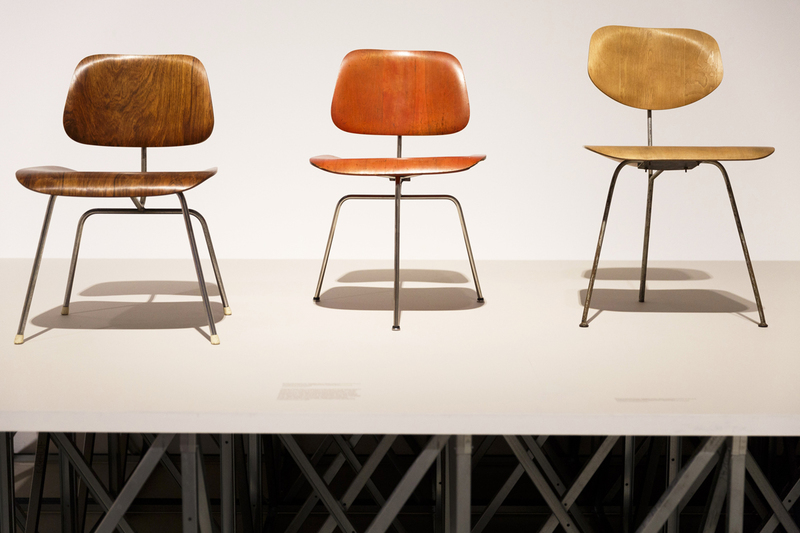 The Eames’ molded plywood chairs. 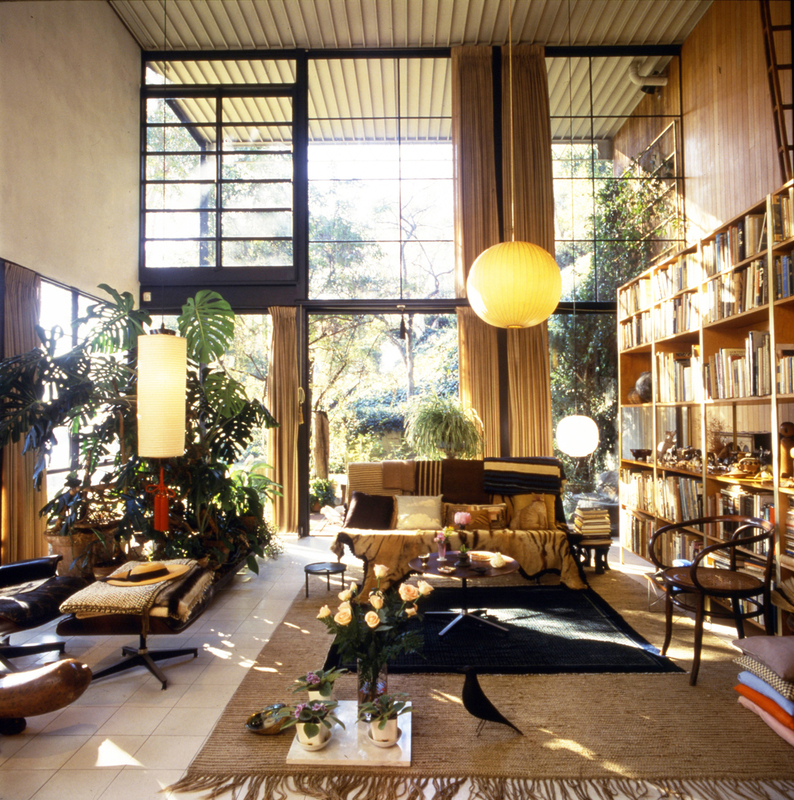 Inside the living room of the Eames’ Case Study House No. 8 in Pacific Palisades. 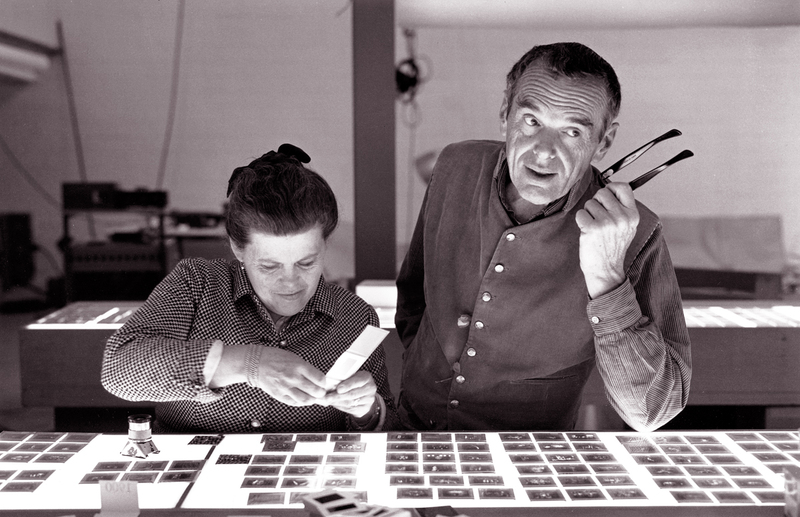 Charles and Ray Eames, the greatest husband and wife team in modern design history, met in Michigan but spent most of their lives in Los Angeles. It is an unexpected pleasure then for Bay Area residents that the Oakland Museum of California (OCMA) is the only West Coast site of a remarkable new Eames exhibition—which, perhaps even odder, was produced by the Barbicon Museum in London. "We don't usually host traveling exhibitions," admits Lindsay Wright, associate director of communications at OCMA. "I know the Barbicon was interested in having the exhibition come to California because the Eameses were located in L.A., [and] it fit with our mission and our work here." 'The World of Charles and Ray Eames' makes its West Coast debut Saturday October 13 to begin a nearly five-month stay at the Oakland Museum, through February 27. "The Charles and Ray Eames exhibits are on their way home, having been seen by thousands of people at several venues in Europe and more recently at The Henry Ford [museum] in Michigan," pointed out Jane Alison, Barbicon director of visual arts, in a press release about the exhibition. 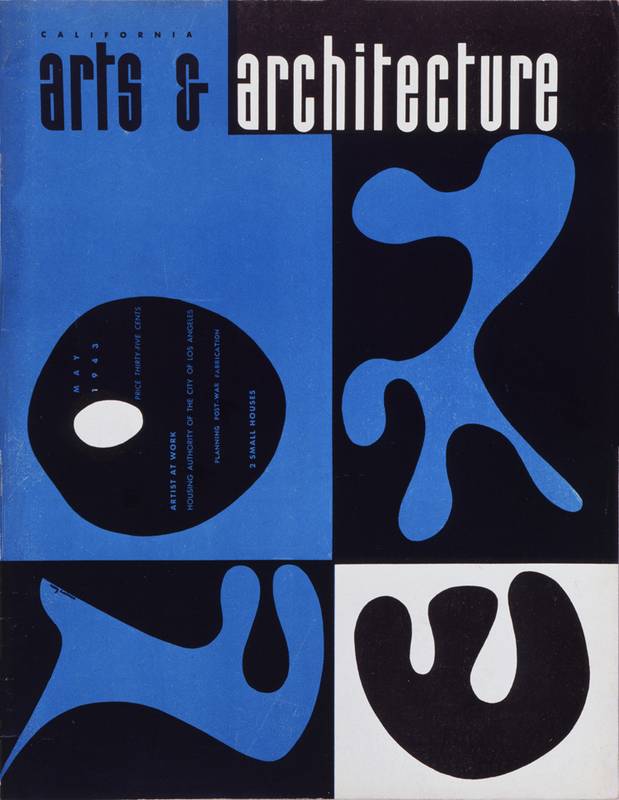 "I couldn't be more delighted that their final stop will be at the Oakland Museum of California, where this fine reappraisal of their work is sure to be enjoyed by a West Coast public who have always been perfectly in sync with their democratic ethos that fuses design intelligence and boundless creativity." Wright said "there will be a lot of the same objects" fitted to the Oakland museum's great hall that were exhibited at Barbicon in 2016, and this year at The Henry Ford in addition to stops in between in Sweden, Belgium, Germany, and Portugal. The spokeswoman said these hands-on features include "really beautifully designed" playing cards to build 'houses' with, light boxes and kaleidoscopes to experiment with, and of course the Eameses' most famous creations, chairs. "Most people know their work for their furniture," Wright conceded, noting that there will be a pair of the couple's famous lounge chairs (1956), plus some Herman Miller-produced 'spinning top' chairs by another designer for a little 'seat-on' immersion. She said another workshop area will be an area with "organic cutout shapes" and "a kind of a space where people can hang up their sculptures in the gallery."